“Bulking” is typically followed by “cutting,” where you eat at a slight caloric deficit. You need to make muscles that will raise your resting metabolism, make your overall life better, and make it easier to lose fat. How do you bulk, and then how do you cut? The answer is overnight swoalts, a variation of overnight oats. Overnight oats are a delicious breakfast for everyone that can take any number of forms. Overnight oats were born of probably Pinterest several years ago, and it was only recently that Quaker Oats figured out this was a thing people were doing, bless their hearts. There is now more overnight oats content on the internet than you can read in your lifetime. Here is more. Greek yogurt. Fage 2% is the best Greek yogurt for this purpose. Fage 0% and Fage Total both have less protein by 2g than Fage 2%. Fage Total also has a disproportionate amount of fat, and Fage 0% tastes like getting punched in the face, so you need a lot more of whatever sweetener you need to offset its extremely strong sour flavor. Fage 2% is creamy, still tangy, without the heavy dose of fat that comes with Fage Total, plus that extra 2g of protein. If you can’t do dairy, use whatever yogurt agrees with you — there is soy yogurt, and yogurt spiked with pea protein. 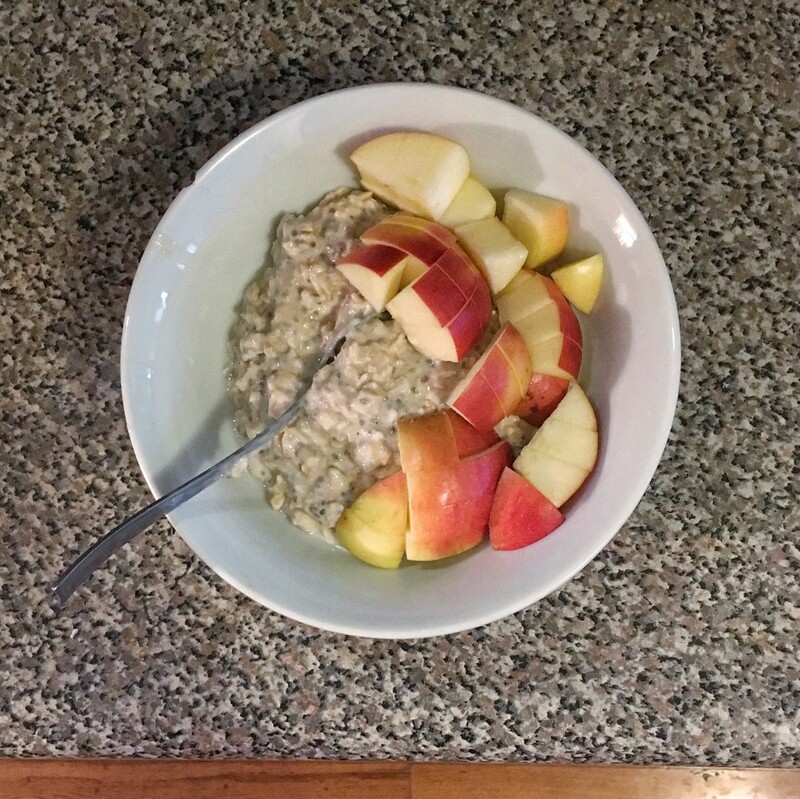 If you don’t have some sort of offsetting sour element like Greek yogurt, your oats may be a bit bland; adding a pinch of salt can help (h/t Shani Hilton). Milk. You can use whatever, I like 1% or 2%. No real rules here. If you can’t do milk, you can use water or another of the milks listed above. Sweetener. Dealer’s choice here; I usually use brown sugar or maple syrup, but you can use literally anything — white sugar, raw sugar, agave syrup, jam?? For a neutral swoalts base, use something relatively plain. You can skip this in favor of using only protein powder, but it can be… overly artificial-sweetener-y. I like it best if the protein powder is cut with a bit of actual sugar. Protein powder. Again, you can use any flavor, or even unflavored, vegan or not. I use vanilla. You only use a little bit of this, like a fraction of a scoop. This is nice aside from the protein bump because it sweetens without adding a lot of sugar or calories. Chia seeds (optional). These will thicken your swoalts, so you may not like that, but they also make it a little more filling and fibrous. I learned recently that chia seeds don’t have complete omega-3s, so they are nutritionally kind of a wash, but I kind of like the fiber and texture. Mix and let sit overnight. Combine and churn with a big wooden spoon until all ingredients are integrated; let sit overnight. At this level, it makes sense to have a small kitchen scale in order to correctly measure out your servings. If you’re eating it all yourself, it doesn’t matter day-to-day if you’re off a bit in the serving sizes. Already we have a beautiful and easy breakfast — swoalts can even be portable if you mix them in tupperware containers or mason jars. But if we go a level deeper, the true beauty of swoalts is they are endlessly tweakable to fit your particular nutrition needs. Using an app like MyFitnessPal or LoseIt can help you dial this stuff in. I know these recipes cater to the dairy eaters among us, but there are lots of alternatives to milks and yogurts. While Greek yogurt is a protein powerhouse, spiking your swoalts with a protein powder of your choosing is a good move if you have to skip Greek yogurt for whatever reason. Now raise your gloppy, delicious spoonfuls of whatever to bulking season. You’re The Worst Has Been Back?